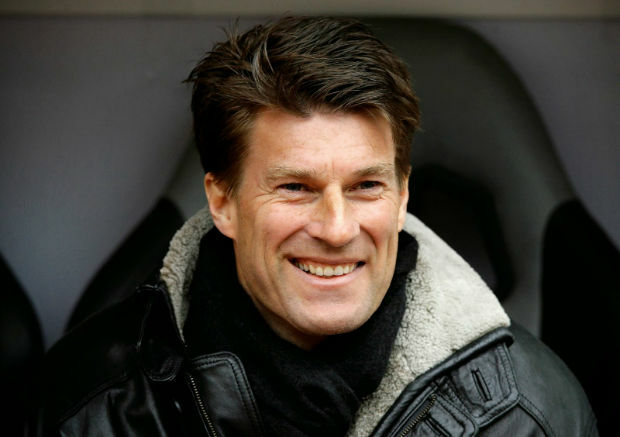 There are soccer greats and then there are soccer legends and Michael Laudrup is a bona fide legend. It is a matter of great travesty that one of the games icons has never won the Ballon D’Or nor even been nominated for it. He is also referred to as Denmark’s greatest-ever player, and subsequently Europe’s greatest ever player. Laudrup and his sheer magnificence as an athlete also commanded the respect and awe of fellow legends like Romario and Raul who hailed the Dutch master as the best they have ever played against. Laudrup had the unique ability to make soccer look like a beautiful and graceful game. He was the most elegant European player of all time and was not just capable of attacking and playing anywhere across the soccer field. Post retirement Laudrup successfully manages the Qatar Stars League club Al Rayyan. Born in June 1964 in Frederiksberg, Copenhagen, the Dutch master started playing soccer in his father’s childhood club Vanlose along with his brother Brian. Laudrup made his debut for the Denmark national team at the age of 18 and scores 37 goals in 104 appearances. He also played for the Under-19 team and scored 14 goals in 25 games. After swapping in between two national Dutch teams – during which he won the Danish Player of the Year award in 1982 – Laudrup moved to Juventus and then to Liverpool for a brief period of time. He eventually moved to Barcelona and became part of the Dream Team which also comprised of players Bakero, Begiristain and Pep Guardiola. As part of this Dream Team Laudrup won four consecutive La Liga championships along with the European Cup, the 1992 UEFA Super Cup, the Copa del Rey and the Supercopa de Espana in 1991 and 1992. During this highly productive era Laudrup won the Best Player of the Year in Spain twice. As an attacking midfielder Laudrup won league titles with all the clubs he played in which included Ajax, Real Madrid and Juventus. Laudrup is a world class player whose example is given even to this day as not a graceful player both on and off the soccer field. Laudrup made his debut for Denmark in 1982 and starred in the 1986 FIFA World Cup. He played a monumental role in the 1995 Confederations Cup tournament. Many soccer pundits consider Laudrup to be the best passer of all time and he was also the most imaginative and inventive player the game ever saw. In 1999 he was voted Best Foreign Player in Spanish Football and in 2000 he was knighted in Denmark – receiving the Order of the Dannebrog. In 2003 he was selected as the Golden Player of Denmark by the Danish Football Association for being the most outstanding player in the past 50 years. In 2006 he was named the best Danish footballer of all time and was named by Pele in the FIFA 100 list of world’s greatest living footballers. Marca named him the Best Foreign Eleven in Real Madrid’s history. He is referred to by many as the greatest Scandinavian soccer player ever.